Apart from keeping cars, people are using their garages for a lot of other purposes. This makes it essential to keep your garage in tip top condition, so that you can make maximum use of it. One of the ways you can do this is by using epoxy flooring for garages. This flooring option will not only transform your garage from a dull and boring place to an attractive one, but it will also protect the floor of your garage. This makes it quite a top choice for a garage floor given that it is quite functional. That’s why you should hire a reliable local epoxy flooring expert to handle the job for you. In order for the epoxy flooring to adhere properly, it needs to be applied well. This means that the person who is doing the job should know what they are doing. That is why it is advisable to hire a qualified epoxy flooring expert to do the job. Spade Concrete prepares the floor well before coating it. This may take the form of acid etching, shot blasting or floor grinding. It may also be necessary to patch or repair any cracks on the concrete before applying the epoxy, otherwise the coating will not stick well. In most cases, it will be necessary to apply multiple layers of epoxy on the floor. This will make the coating last for a long time. This will be much easier if you have an experienced local epoxy garage floor team of contractors handling the job for you since it can be quite tiring to handle all these details on your own. There are several colors and hues of epoxy flooring to choose from. 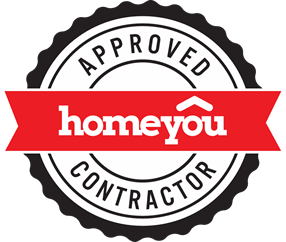 The professional you hire will advise you on which option to go for. You can even have your own customized colors made by blending different colors depending on the look that you are going for. When you use epoxy, you won't panic when a heavy wrench or a hard object falls on it since the surface will not easily chip or stain since this material is very resilient. It is also resistant to chemicals, so you don't have to worry about oil or brake fluid or gasoline or anti-freeze or other chemicals pouring on the floor since you can wipe them off easily. A good epoxy flooring professional will not only carry out the installation, but they will also advise you on how to take care of it so that it lasts for a long time. For instance, welding can be hard on the flooring as it can leave burn marks and if there is a lot of moisture content underneath the slab, it can affect the floor and cause it to delaminate. Spade Concrete will give you a guarantee of many years for the work that they do. 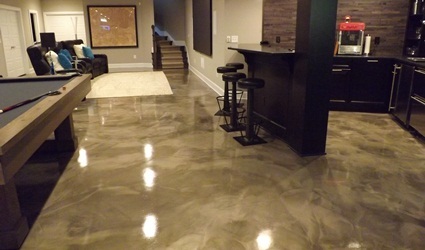 This will assure you that your epoxy flooring will last a long time. Therefore, do not hesitate to hire an epoxy flooring contractor when you need your garage floor to be coated.